A guided tour enables you to showcase the key features on user forms or portals by providing users with information, instructions, or controls in a sequence of pop-up windows called tour stops. You can configure a guided tour to start automatically by using the pxGuidedTourAutoStart control. You can configure this control to start a tour the first time or every time a user visits the screen where the control is used. 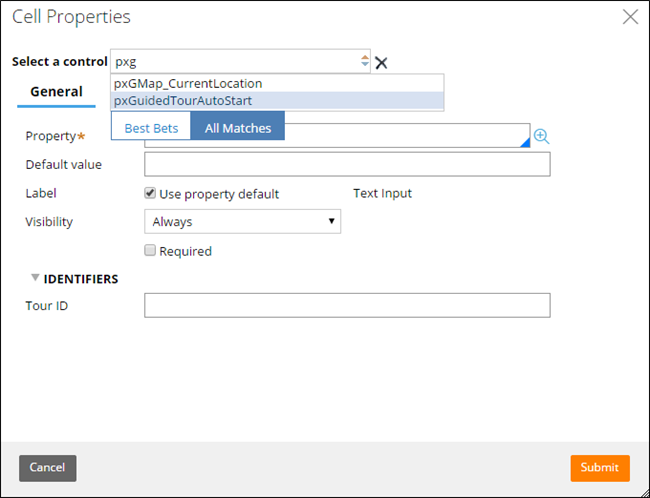 Configure the control on the Cell Properties dialog box for the field in the section that contains the control by changing the control type to pxGuidedTourAutoStart. 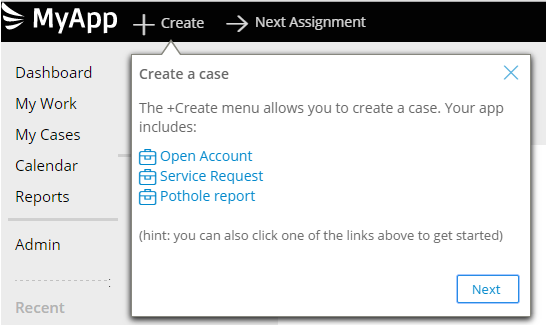 The following example displays what the user sees when a guided tour is configured. For more information, see More about guided tour rules.